Philip Milton Roth (March 19, 1933 – May 22, 2018) was an American novelist and short-story writer. Roth's fiction, regularly set in his birthplace of Newark, New Jersey, is known for its intensely autobiographical character, for philosophically and formally blurring the distinction between reality and fiction, for its "sensual, ingenious style" and for its provocative explorations of American identity. Roth first gained attention with the 1959 novella ''Goodbye, Columbus'', for which he received the U.S. National Book Award for Fiction. He became one of the most awarded American writers of his generation. His books twice received the National Book Award and the National Book Critics Circle award, and three times the PEN/Faulkner Award. 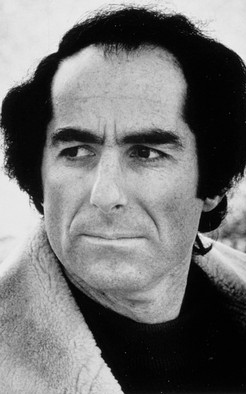 He received a Pulitzer Prize for his 1997 novel ''American Pastoral'', which featured one of his best-known characters, Nathan Zuckerman, a character in many of Roth's novels. ''The Human Stain'' (2000), another Zuckerman novel, was awarded the United Kingdom's WH Smith Literary Award for the best book of the year. In 2001, in Prague, Roth received the inaugural Franz Kafka Prize.